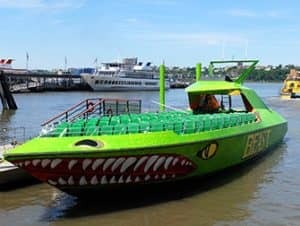 Circle Line: The Beast is perfect for thrill seekers. It’s loud, extremely fast and above all a lot of fun. Racing across the water at 72 kph, the Beast is a mix between a water ride, a roller coaster and a high-speed cruise. 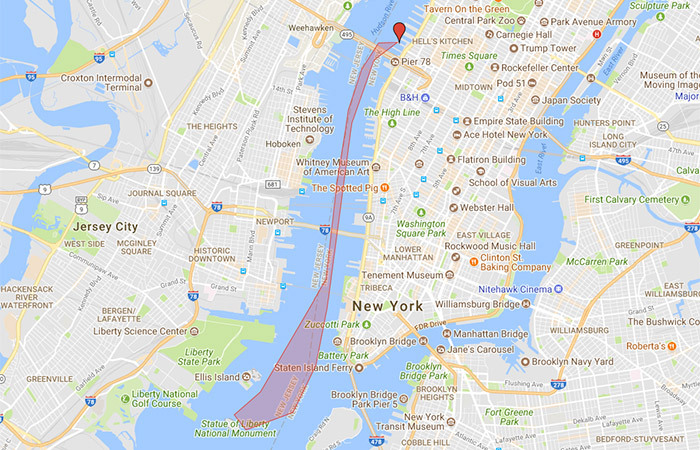 In 30 minutes the comedic captains “Mad Dog” and “Wild Thing” will zip you to the Statue of Liberty and you’ll breeze past Manhattan’s West Side. Don’t worry, you do have ample opportunity to snap a photograph … or two. Make sure you don’t wear a hat, and hold on to your sunglasses because the captains don’t appreciate you giving them the finger if you lose them! The entire time the captains will be cracking (sarcastic) jokes to entertain you and you might even get sprayed with a water gun. You’re guaranteed to get wet if you sit at the stern of the boat, so don’t wear Sunday’s best. Kids are welcome but they need to be at least 100 cm to enjoy the ride. 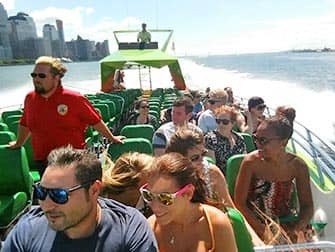 In the summer it’s a great way to cool down, feel the thrill and speed of Manhattan and be entertained with the humuor Americans are well known for. 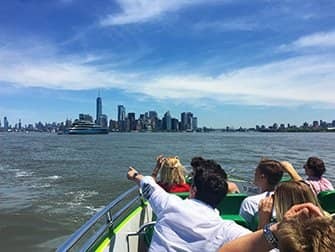 Be sure to pack on lots of sunscreen as there is no cover on the boat, and despite the refreshing breeze you can easily get sunburnt on the water. Eric’s Tip: This boat tour can be compared to a log flume at a theme park. Water does tend to splash a bit inside the boat during the tour. This can actually be quite refreshing during the summer months in the hot city!